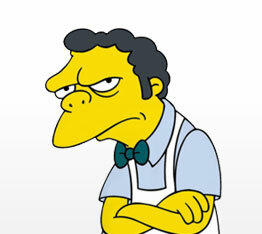 Moe is the bartender in the Simpsons. He is remarkably good at it, as evidenced by Homer's drinking problem (among others). Given the Simpsons' theme to the cluster, it seemed only fitting that the main file and web server for the cluster should be named after him. But, in reality... it's just because it is among the shortest names possible and is easy to remember.